Wooden Camera brand V-Mount plate utilizing an IDX V-Mount and C-Series DC connector. Works with Canon C100, C300, and C500. Voltage regulator integrated in the plate provides constant 8.4V to camera. 2x D-Taps on plate provide 12-16V depending on battery connected. 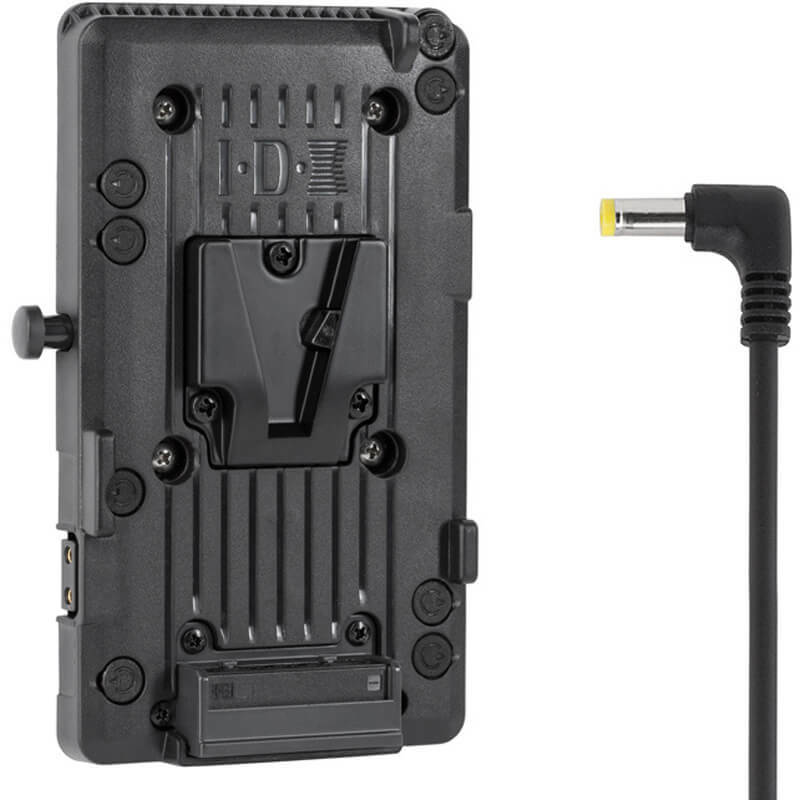 Cable exits the right side of the plate allowing neat looping and insertion into the camera. Length allows minimal cable excess while still being able to reach positions further away from the camera as necessary. For an adjustable mount system attached to rods, use the Battery Slide or Recorder Slide paired with the appropriate Rod Clamp: Rod Clamp (15mm LW), Rod Clamp (15mm Studio), and Rod Clamp (19mm). Custom lengths up to 6ft available at the same price (additional length available with a small fee).